Step out of your bath or shower and onto the Black and White Chevron Bath Mat by Turtle Mat. 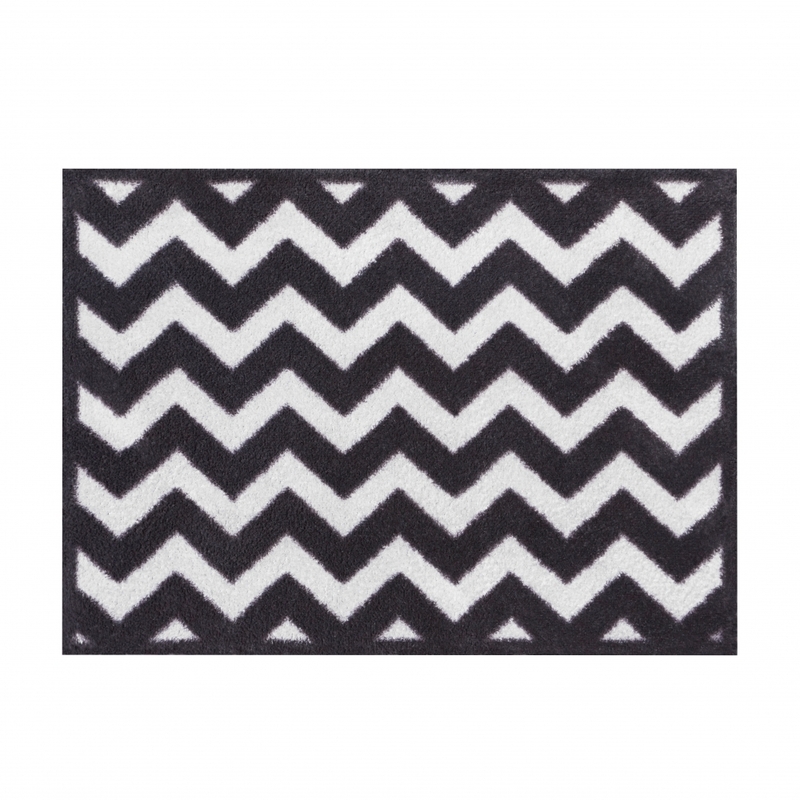 Featuring a black and white chevron pattern, this super absorbent mat is soft on feet and strong on gripping to the floor. Made in Britain, with a combination of cotton and microfiber, this mat would be ideal anywhere there could be water spills.